Belgium’s ‘Golden Generation’ met France’s World Cup favorites in a quite boring semi-final tonight. France is starting to look like Greece’s European Champions from 2004 who won a tournament with very controlling and defensive football. It is one way to reach a final, but for the purists and neutral supporters, not much fun to watch. The Belgian team, having won all their previous matches and scored 14 goals, was prepared to take on the underdog role for this match, knowing that the French were only slight favorites given their more experienced squad for this type of matches. Ever since Roberto Martinez took over the Belgian squad, they’ve gone on a 24-match unbeaten run over the past 2 years which clearly boosted their confidence. The first twenty minutes was mostly for Belgium as France played a waiting game, seeing how they could out-chess their opponent. France boss Didier Deschamps, who could become the first Frenchmen having won the World Cup as both a player and manager, plays in terms of functionality rather than flair, meaning he is often criticized at home for failing to get the most out of his squad. Mr Deschamps’ team needed a late own goal in their opening match against Australia, edged past Peru 1-0 in their second, then played out a very dull goalless draw with Denmark. Against Argentina it was a more open game but the match after that, up against Uruguay, was once again back to the controlling play we are used to of France. The first half finished 0-0 as expected. Both teams went into the dressing room knowing there was only 45 minutes left to gain a place into the World Cup final. As soon as the second half started, it looked like more of the same, with the Belgians attacking and France waiting. 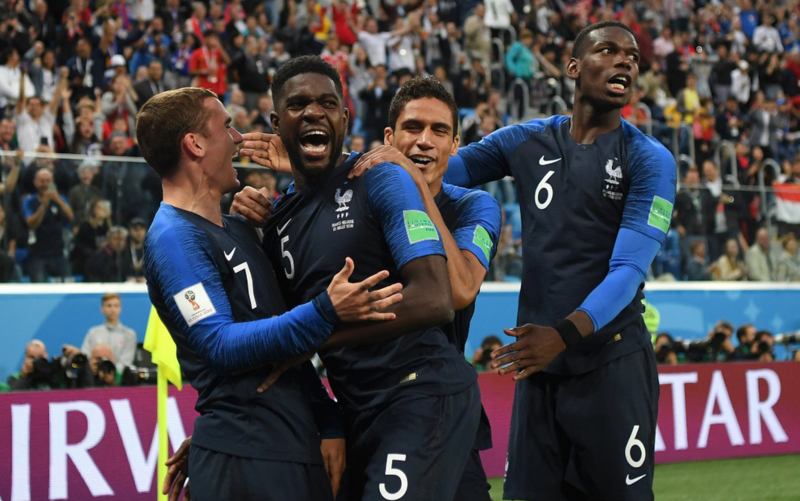 Five minutes later, France gained a corner and from a standard situation Barcelona’s Samuel Umtiti was able to head in a first goal. 1-0 for France. The next twenty minutes were very controlling football by the French who refused to make the play. Even though the foreign press will crucify them for it, the French won’t mind as they played out the game in this manner till the end to reach another final at a world cup. Their first time in twenty years. This weekend they will face the winner of tomorrow’s game between Croatia and England.